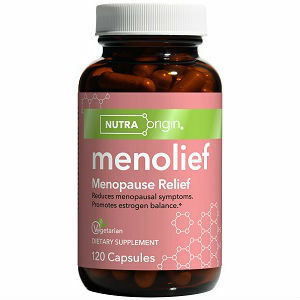 Claiming to reduce hot flashes, nervousness, night sweats, vaginal dryness, occasional sleeplessness, and mood swings, Menolief may be the answer many women in menopause have been searching for. With an added bonus of increased energy, Menolief assures customers that their product will assist them in overcoming menopausal difficulties. However, if Menolief is such a great product, why can no reviews be found? Because of the lack of feedback, we must delve into Menolief’s components to discover if this product could truly be successful. According to researched information, 4 tablets of Menolief should be divided evenly among major meals all throughout the day. It is suggested that each dosage be consumed immediately after or during a meal with 8 oz. of water. After researching numerous websites, a price for Menolief could not be found. The only place that listed a price will not let customers few the price until they are ready to purchase. This is quite frustrating as many people desire to know the price of something before even considering a purchase. It has been determined that no known guarantee accompanies this product. A company should always provide some form of a guarantee with all of their products. This creates a safety factor for new customers. After reviewing the information above, it has been concluded that several factors should be red flags to those considering this product. First, it is a little concerning that there seems to be no reviews of Menolief. Before committing to a purchase, customers desire to know how others have liked a product. No reviews can make users a little hesitant to try something new. A second concern is a lack of information concerning the price. When searching for a price, every place customers are directed ended up not selling this product. This should be a little concerning to new users as it seems directed information from Menolief’s website is misguiding and no place gives a clear price. A third and final element of concern is the guarantee. Without a guarantee, customers are essentially risking their money on an investment that may turn out to be void. With the added concerns listed above for this product, the gamble seems to be much higher. Jackie Horowitz	reviewed NutraOrigin Menolief	on August 2nd	 and gave it a rating of 2.